Front (l to r) Ethan Walker, Noah Prowell, Dominic Plaia, Nicholas Evans, Chris Garland, and Nathaniel Otterby. 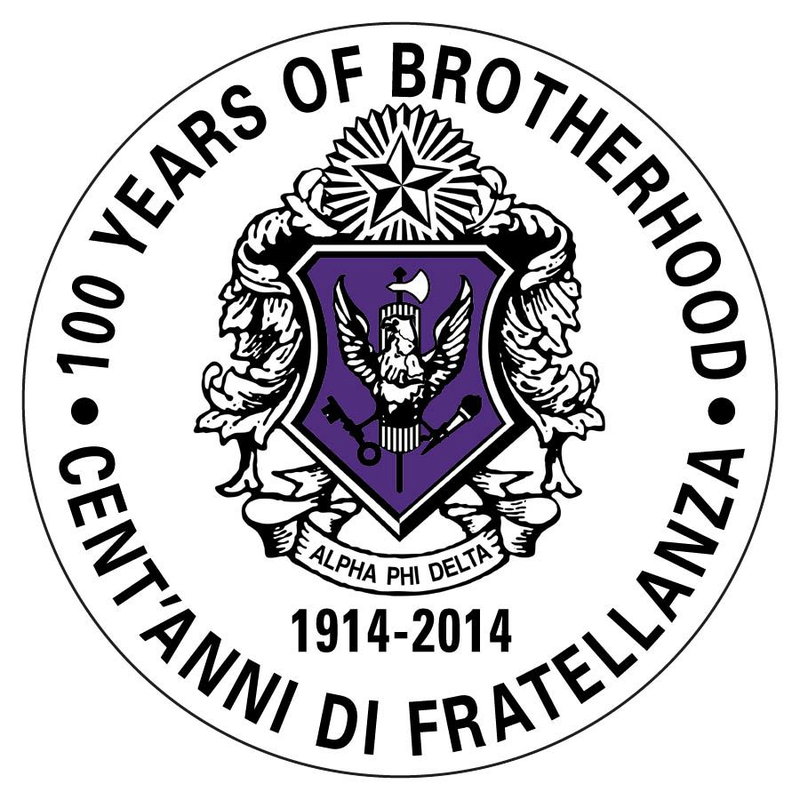 On December 8th, 2018, Delta Chi Chapter welcomed six new members into the brotherhood of Alpha Phi Delta Fraternity: Nicholas Evans, Christopher Garland, Nathaniel Otterby, Dominic Plaia, Noah Prowell, Ethan Zaruba-Walker. This is the 34th pledge class of the Chapter since its founding in 2003. Congratulations to our newest brothers. 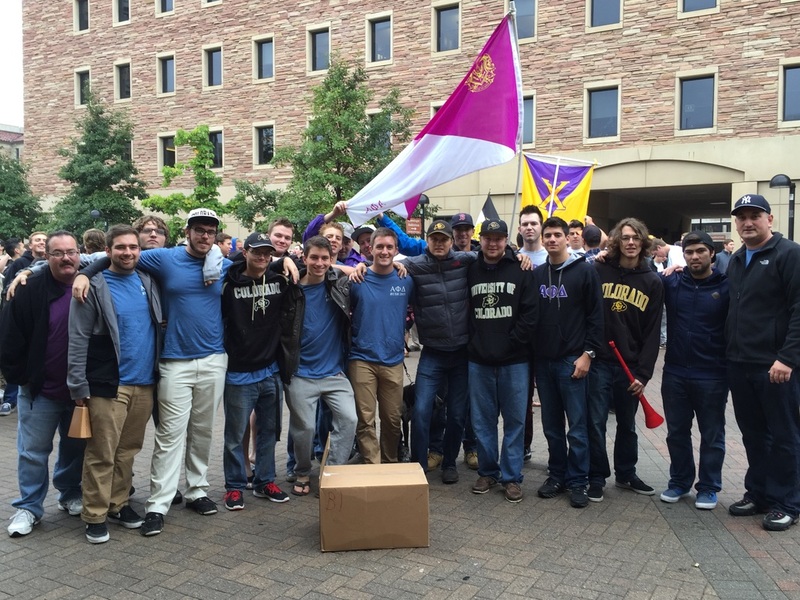 National President Christopher Mancusi (far right), visits with the brothers of Delta Chi Chapter (University of Colorado - Boulder) on the weekend of October 3-4. Accompanying Brother Mancusi on this chapter visit were Michael Young (Beta Eta '85; far left) and Alumni Coordinating Committee Chairman, Jeff Breen (Gamma Sigma '89; not pictured). Jason Zimmet -- he's bananas for APD! We wish all of our officers and all of the officers in the chapters throughout Alpha Phi Delta Fraternity, especially those in the Rocky Mountain District, a very successful year in 2015. Faciamus! 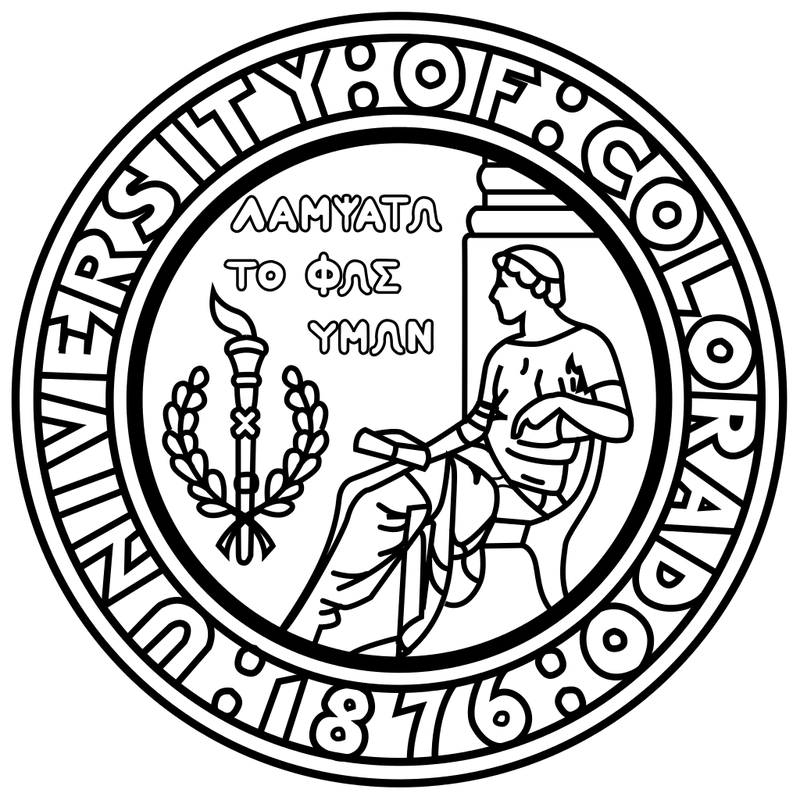 For information about the University of Colorado, click here. Matthew Casey is the President of our Delta Chi Chapter. Alpha Phi Delta Fraternity's National Council has allowed students of the University of Colorado to join our fraternity since April 5, 2003.